The lyrics from the 1992 song Fifty Mission Cap by famed Ontario band The Tragically Hip resonates with Canadians for their reference both to Canada and hockey. Fifty Mission Cap tells the true story of Bill Barilko, a defenceman for the Toronto Maple Leafs who died when his plane mysteriously disappeared in 1951. Wreckage from the plane was discovered in 1962 north of Cochrane, Ontario. During the five seasons that Barilko played for the Leafs, he helped the team win the Stanley Cup four times. It was not until the year the plane wreckage was discovered that the Leafs won the Cup once again. The song brought awareness of the event to a new generation of Canadians and has helped mythologize the Barilko story in popular culture. 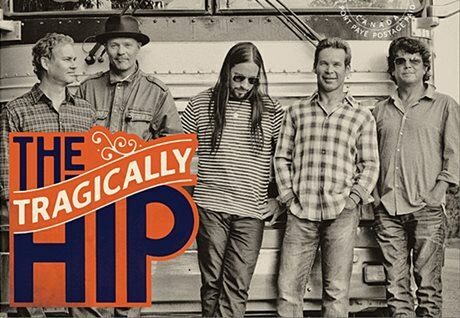 Learn more about The Tragically Hip on their website. Read more about the history behind the song Fifty Mission Cap from the Hip Museum website. Watch The Tragically Hip perform Fifty Mission Cap on the National Hockey League website.